I found this recipe in the Globe and Mail years ago. It hails from Lucy Waverman and I return to it again and again and again.We love mushrooms in this house. 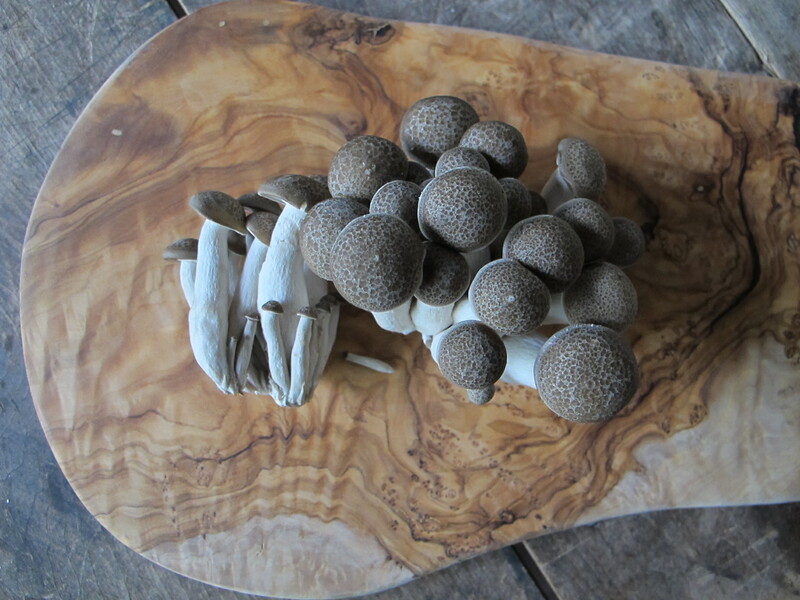 We spring out of bed on Saturday mornings to get to the farmers market to find specialty ‘shrooms like the ones above. I don’t know their name, or their particular qualities, but does it really matter? They are mushrooms, they are beautiful, and they are happy companions to any other mushrooms we thrown in the sauce with them. If you can’t find any unusual mushrooms, just use the regular offerings from your grocery store and you’ll still be happy with this fabulous sauce dripping over your mashed potatoes, on pasta, or even on toast with arugula and pine nuts. Trim mushrooms, removing stalks if you are using shiitake, and chop. Heat oil in a skillet over high heat. Add garlic and mushrooms and saute until they begin to lose their juices, about 3 to 5 minutes. Add balsamic and stock and bring to boil. Reduce until liquid practically disappears and then add Porto. Saute 1 minute longer, sprinkle with salt and pepper and parsley.